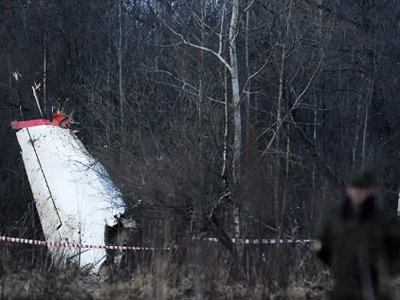 The Polish panel which has been looking into the crash of President Lech Kaczynski’s plane in Russia in April, 2010, is due to announce their findings this Friday morning. The panel’s chief has already called the report “painful” for Poland. ­The commission, headed by Polish minister of the interior Jerzy Miller, will start delivering their report at 10.00am local time (08.00am GMT). The final version of the report was handed over to the Polish prime minister, Donald Tusk, on June 27. The PM ordered the report, which is some 300 pages long, be translated into Russian and English. In their Friday announcement the Polish board is not expected to name any individuals as responsible for the accident, which claimed 96 livesnear Smolensk, a city in western Russia, last year. Nevertheless, during the investigation, Jerzy Miller repeatedly called the report “painful” for Poland. The Polish investigators do not seem to have made any conclusions that differ dramatically from those of the Russia’s side. For its part, Warsaw has been accusing the Russian traffic controllers of allowing the plane to land and wasting too much time consulting with Moscow. The IAC did not report any consultancy of this kind to have taken place. Moreover, the IAC stressed that due to the status of a special international flight, it was the pilots’ responsibility to take the final decision whether to land or to be diverted to another air field. Warsaw challenged the findings of the IAC, with some Polish politicians saying Moscow had rigged the joint investigation. The rhetoric divided the Polish community and cast a somewhat gloomy shadow on the effort to reset relations between Moscow and Warsaw. 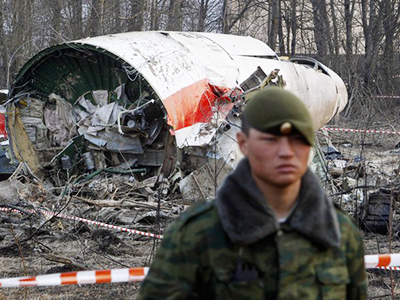 The presidential plane crashed in April 2010 while trying to land on a Russian airfield near Smolensk in poor weather conditions. All 96 people on board were killed. Lech Kaczynski, the then president of Poland, was heading a Polish delegation flying to the Katyn memorial to take part in the commemoration of the Katyn massacre of 1940, when thousands of Polish officers were killed by the Soviet NKVD police. David Learmount from Flight Global magazine says the causes of the crash were horrifyingly simple. “The weather was very bad. The pilots had been warned that the weather was simply not good enough to approach that airport. But they decided they would ask for permission to carry out an approach anyway. And when the pilots were carrying out the approach, they descended through the decision height – the height at which they should have started to climb the aircraft,” he said. Learmount added that the only reason why the Polish investigation is continuing is because they just can’t face the plain truth. “I can’t really see why this investigation is continuing. The accident was a simple one. It’s the type of accident that follows a mistake of a type which has happened countless times before in aviation history. I think the only reason why it is happening is because it was such a human tragedy, such a political tragedy for the Polish people that they have been given the truth and the truth is unbearable. They can’t take it. I don’t think that the Polish investigators think they can pin the blame on anybody else. But I do think that they are looking to pin some of the blame on somebody else,” said Learmount. "But if the Polish report tries to pin some of the blame on the Russian air traffic controllers, it will not be respected in international circles," he concluded. Pilot Marin Medic believes the immediate cause for Kaczynski’s plane crash was the breach of the proper procedure by the Polish piloting crew. Medic, who is also first officer at Dubrovnik Airline, Croatia, says that among other factors, the captain of the plane seemed to be piloting the craft and communicating at the same time. "Basically, only the captain aboard the plane spoke Russian, so he put heavy work on himself both flying the plane and communicating,” the Croatian pilot told RT. “This is not standard procedure, because one pilot – either the captain or the first officer – is flying and the other one is holding radio communications. Or, in the case of a military flight, there might be a navigation officer who handles the communications. But this was not the case, so this was a contributing factor as well."